Today we’d like to introduce you to Sal Canciello and Bryan Dunkelberger. 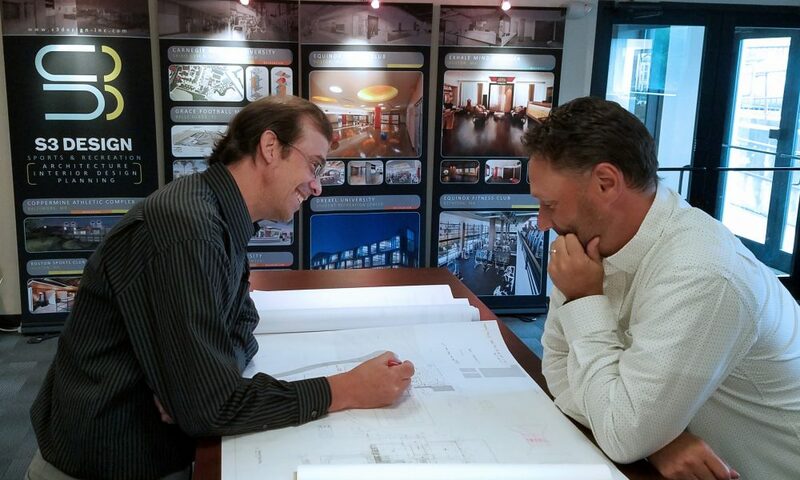 Bryan Dunkelberger and Sal Canciello founded S3 Design in 2008. We began our collaboration working at a firm where, as a step towards becoming principals, we were paired together to market and deliver smaller scale projects that didn’t fit the financial model for the firm’s senior principals to pursue. This served as a chance for us to gain experience marketing and managing projects with the ability to learn from each other and leverage our collective strengths. We both quickly realized how much we enjoyed working together and that we shared the same design philosophy and client-centered design approach. This ultimately led us to start S3 Design to provide clients a design team that truly listens to them and then helps them to achieve their goals. When we started S3 in January of 2008, our original strategy was to continue to pursue the smaller scale projects we were chasing at our previous firm. Soon after we started, the financial crisis changed everything and suddenly all firms, no matter the size, were competing for the few available projects. We did struggle to adapt our strategy, but looking back two things sustained us through the downturn. First, client relationships were critical. Without the willingness of those clients we had worked with before to take a chance on our new firm, we never would have made it. Second was a piece of advice given to us by a principal at our previous firm who had his own practice and returned to a larger firm. The advice was to keep your overhead low; we followed this almost to a fault, but it was what kept us going through the downturn. So let’s switch gears a bit and go into the S3 Design Inc. story. Tell us more about the business. S3 Design is an architecture and interior design firm dedicated to the planning and design of sports & recreation facilities. It is S3’s mission to create facilities that promote active lifestyles that achieve our client’s vision and foster the spirit and identity of the campus or community. We design athletic and recreation facilities because we love them. We pour our heart and soul into understanding how they work, what makes them better and who will be using them. We believe that athletics and exercise are an integral component of our daily lives. Whether we are bettering ourselves personally at our local health club, training for a specific event, performing at the student athlete level or visiting our alma mater for a homecoming event, sports are at the heart of the experience. S3 Design understands the relationship between the people and the facilities they exercise and perform in, are profoundly impacted by the facility’s design. Our passion is rooted in the creation of the user experience. We firmly believe that successful projects harness the spirit of the place or brand. Our design process develops unique solutions to each of our clients’ needs. There is no universal solution. Taking a project beyond expectations depends on a keen understanding of our clients’ goals and aspirations. In the end, it is the interaction between participants and the facility that determines its success. Starting out, we were worried about things that we knew we needed to worry about, and anticipated what would be challenging. Turns out the most difficult things are the challenges that you do not yet know about. If we understood the depth of these things we may have never started the firm, so it may be good that we were a little bit naive. Looking back, we wouldn’t really change a thing because you can’t plan for those things of which you are not aware. So, the lesson is to plan for the unexpected because surprises will happen. Our advice to anyone considering starting a design firm, or any other business for that matter, is to have others ready to help give advice or direction when issues outside of your expertise arise. Do what you do well, and engage others to assist you where needed instead of trying to figure things out all on your own.